By the time this parade started, we had been walking all day and my feet were very tired! I have to admit that I wasn’t in the best of moods as the first float went by. But that changed quickly as the fun began, because everyone loves parades! I really appreciate how much the costumed Cast Members put into their performances. Even when it’s hot or inclement they are out there doing everything they can to entertain the guests! So I was very disappointed to see that many were throwing balls (that were shot out of floats for everyone to have) at Gypsy, seeing if they could hit her wings. The mentality escapes me! Sulley having a monster of a time! Mrs. Incredible shakes her booty, and we try to look half as good! Whenever the music would stop or transition into another segment, a shower of foam balls would shoot out of the float in question and people would scramble to pick them up. We missed them but a nice little girl gave us one, as she had managed to scrounge about half a dozen. Thank you anonymous Disney girl! Remember: Balls are for keeping, not for throwing at costumed characters! Did anyone else get a chance to see this fun street-party style parade? Did you get a souvenir ball? What color was yours? Let me know how you rate this parade in the comments section. 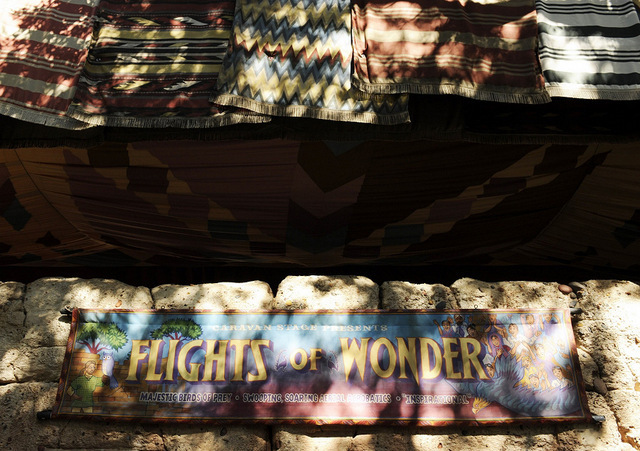 Hello everyone, and welcome to our look at the Flights of Wonder show, located over at Disney’s Animal Kingdom park. This is a special bird show, featuring several different birds of prey that perform for you in an auditorium type setting. This is our choice for #Day36 of our #DisneyWorldCountdown, and it’s one that I have seen only the one time, back in 2007, our first trip staying on property. It’s so long ago that I don’t even remember. Because of that, this year I plan on checking out the show again to see what I’ve been missing. However, seeing bird tricks isn’t the only reason for this show. Like all of Animal Kingdom, the park is based on conservation — and Flights of Wonder is no exception. 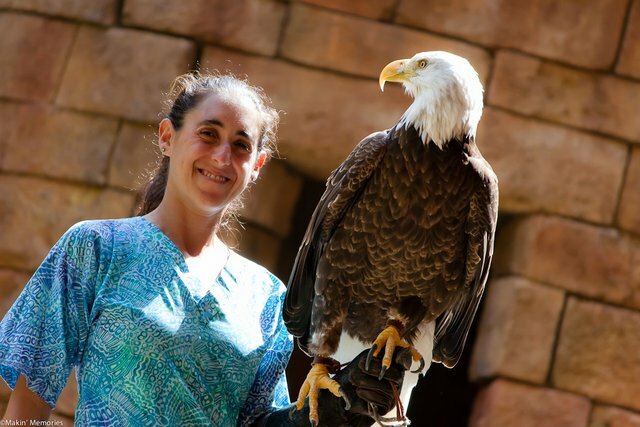 During the show, you learn why some of these species are disappearing off the planet, but you’ll also learn how conservation efforts helped save the American Bald Eagle from extinction! Special thanks to my friend Melissa for sharing her picture of the incredible American Bald Eagle! You can check out her photos on her Flickr page! In many ways, this reminds me of the bird shows that I used to watch down at Cypress Gardens. Those were such incredible shows to watch, that I’m kind of surprised that I have fallen off watching the show at Disney. Do you like this show? Let me know in the comments below, and thanks for stopping by!